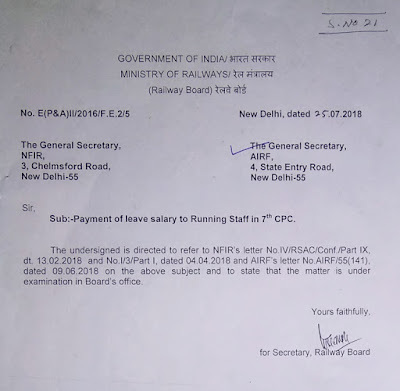 Sub: - Payment of leave salary to Running Staff in 7th CPC. The undersigned is directed to refer to NFIR’s letter No.IV/RSAC/Conf./Part IX, dt. 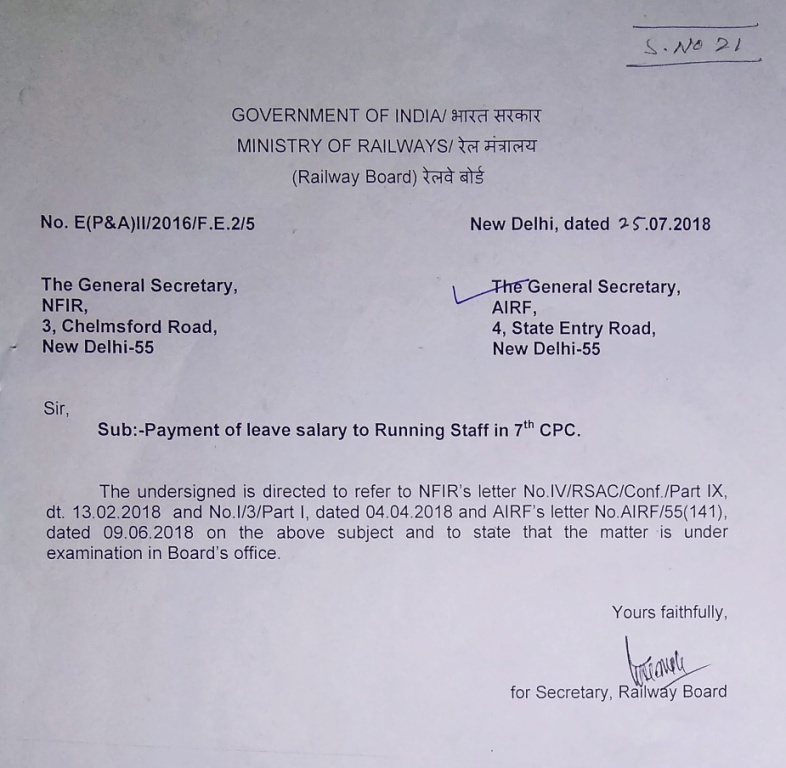 13.02.2018 and No.I/3/Part I, dated 04.04.2018 and AIRF’s letter No.AIRF/55(141), dated 09.06.2018 on the above subject and to state that the matter is under examination in Board’s Office.